This half term we have been learning about plants, spring and how we can care for God’s world. Class 2’s assembly was held on 16th of March. The children worked very hard on learning their words and remembering facts about what plants need in order to grow well. 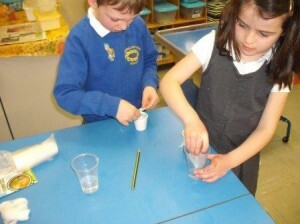 The children have been carrying out experiments – finding out what plants need to grow. We have planted sunflowers and cress. We are looking forward to finding out which sunflower has grown the tallest. 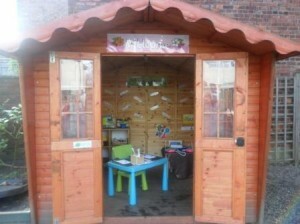 We have also designed and made greenhouses using recycled materials as part of our science and design technology topics. On Red Nose Day (18th March), we will be raising money to support Comic Relief. Nursery and Sunshine Club children and staff will be dressed as pirates and princesses whilst the rest of the school will be having a non-uniform day. Remember to bring in a £1 donation please. For more information about Red Nose Day, please click here. UPDATE – Our school raised £181 for Comic Relief. Thank you to all who contributed! 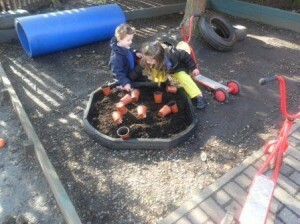 The children in Nursery have been busy looking at beans, touching beans, planting beans and reading stories about beans. 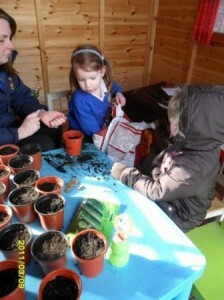 They have been busy planting beans in the garden centre role play area and are looking forward to seeing these grow. 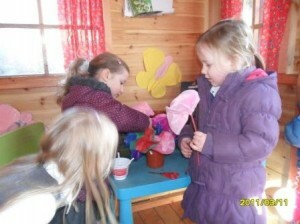 Making flowers in the garden centre. Planting beans in the garden centre. Playing with compost outside the garden centre. 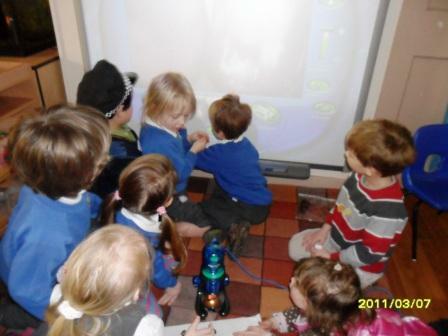 Looking closely at beans using the Intel microscope and the interactive whiteboard.